by the way you live. Congratulations on this beautiful day. may you have a nice future. He has given you in previous years. Happy Birthday, celebrated with the greatest joy. Free birthday cards by Mery Bracho. Happy Birthday. May God grant your wishes. 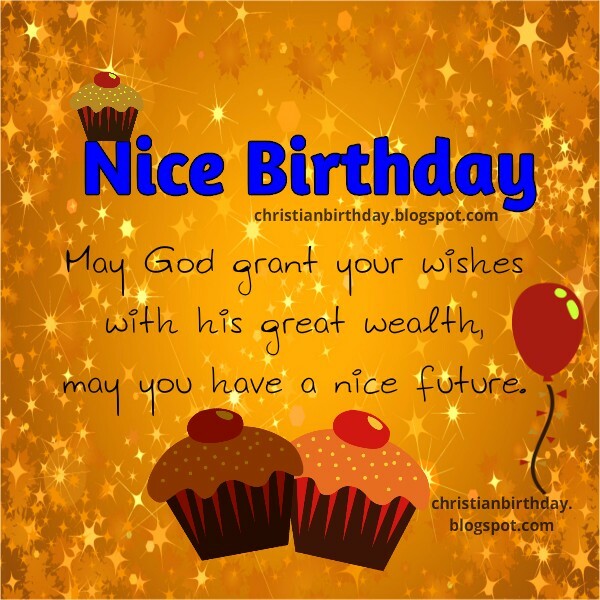 Free christian quotes for bday, free images, congrats.